CFO Dashboard - Family Inc. 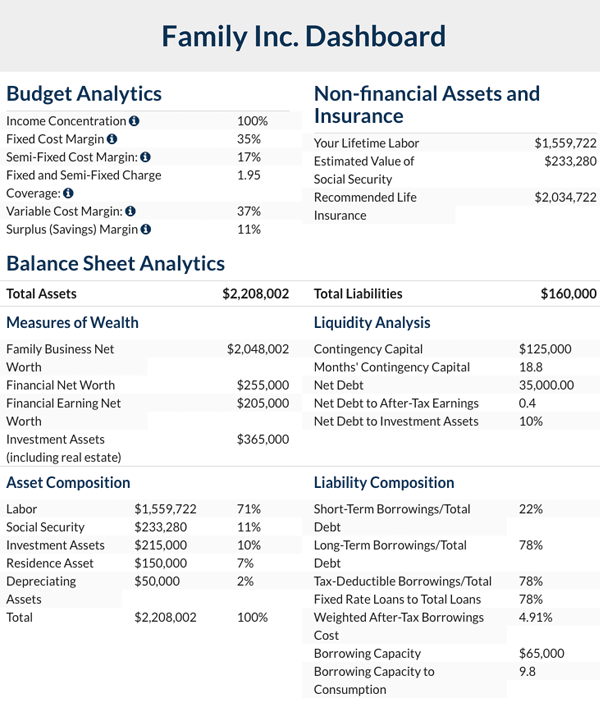 The Family CFO dashboard provides a snapshot of your family’s financial status with important information and metrics the same way a company CFO gets reports to analyze and manage a business. These tools walk you through a simple step-by-step process to organize your information and then summarize the results in one place. With the CFO dashboard you can also benchmark progress against other Family Inc. users as well as monitor things like your budget, investments, loans and even assets like your expected future labor and social security value. 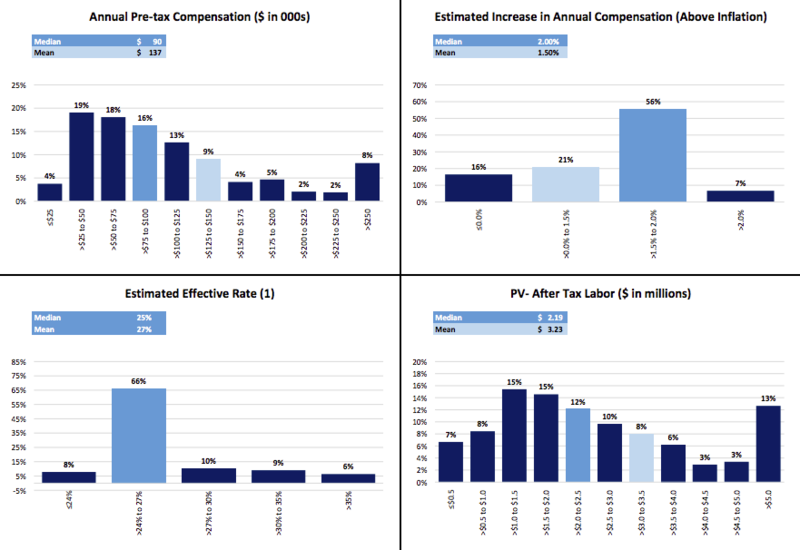 Below is a sample CFO dashboard and sample benchmarking tool for a person’s labor value.